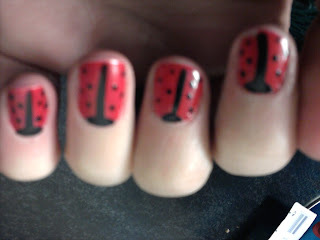 One of my favourite and i think its by far the easiest nail art to do, is the lady bug! Was shown how to do this by my good friend Claire (Check out her blog, its awesome!). Ive done my nails in Lady bug, so many times now, as its so quick and easy to do. For my first attempt, i used Collection number 218.